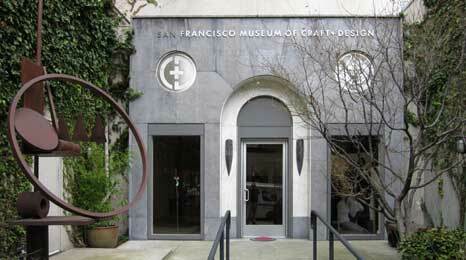 Located just a block and a half off of Union Square in downtown San Francisco, the San Francisco Museum of Crafts + Design is an intimate space dedicated to bring to public awareness the excellence of contemporary design. In doing so it fills a void that is often overlooked by larger contemporary museums that tend to focus exclusively on works of fine art pretensions. Not only does the museum curate exhibits, it also hosts panel discussions, lectures and holds workshops for kids. It is certainly worth 45 minutes of a culture lover’s day. With room for only one exhibit at a time; the current show may not be to your tastes.